Arsenal's chief photographer has mockingly congratulated Tottenham for commemorating the spot where the Gunners won the league at White Hart Lane during the 2003/04 season. Tottenham's new stadium's curtain-raiser was at the centre of attention on Wednesday as they secured a 2-0 win in their first home match back in north London since White Hart Lane was demolished. One of the attractions of the new ground is a plaque which marks where the centre spot at White Hart Lane used to be, a classy and nostalgic feature for fans taking their first trip to the new ground. But Arsenal's Stuart MacFarlane took the opportunity to have some fun with the club's north London rivals, reminding Tottenham fans that that is the same spot where the Gunners celebrated their invincibles season in 2004. Goals from Patrick Vieira and Robert Pires all-but confirmed the crown for Arsène Wenger's Arsenal by the half time interval, during their match 15 years ago. Although Jamie Redknapp and Robbie Keane rescued a draw for Tottenham, one point was enough for the Gunners to win the Premier League title on enemy soil - an event which to this day is still sung on the terraces in north London. MacFarlane tweeted a picture of Tottenham's plaque at the new stadium, along with one of Thierry Henry and Ashley Cole with an inflatable Premier League trophy posing at the centre circle at White Hart Lane. 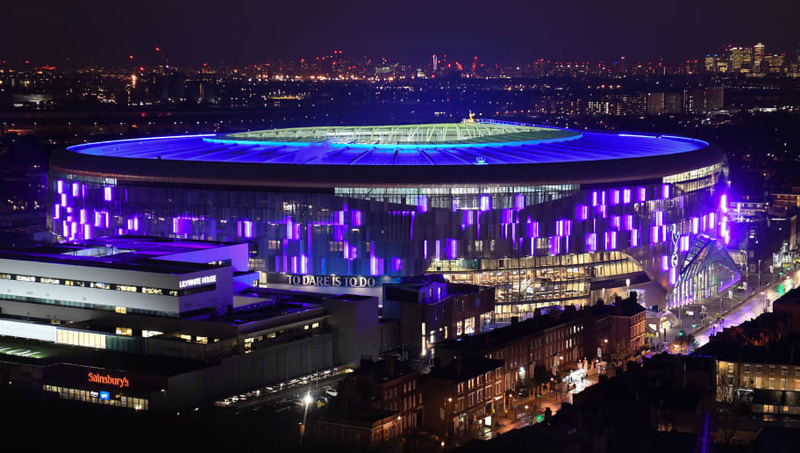 Tottenham unveiling their new stadium for the first time was also a timely reminder that Arsenal are the only team from north London to ever win the Premier League title at White Hart Lane.